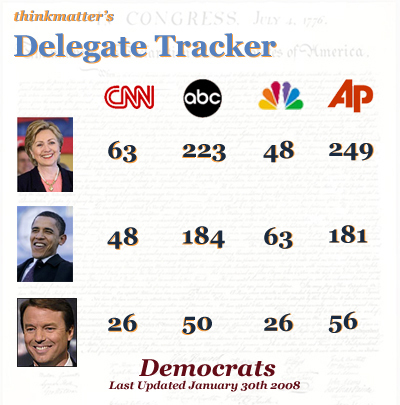 After South Carolina, most of the media outlets still have the delegate count at some widely different margins. On the GOP side however, it’s all coming together. 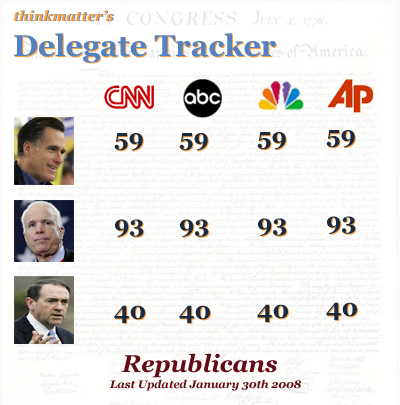 After Super Tuesday, I’ll winnow the Democratic field down to just two candidates (given that Edwards is dropping out today) and I’ll look to only one or two sources for the GOP tracker. Enjoy.